Off stage mutterings from Central Theatre Supplies: Fancy a Six pack for the New Year? Fancy a Six pack for the New Year? 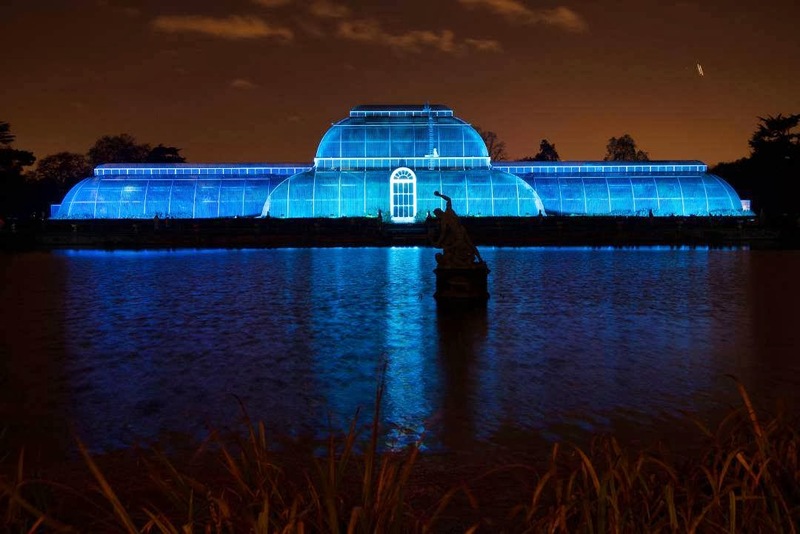 We blogged a while back about the new SGM LED fixtures that were in design and coming in to production and the latest one to join the 'new' family is the SixPack and already it's making an impression with TV lighting designers and event companies. 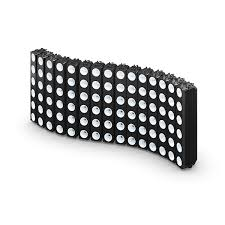 The SixPack is an IP65 rated 6 cell LED blinder come cyc wash unit using COB LED's with a dished lens on the front to help soften and blend the light from the cells. It's a relatively narrow beam of 13degrees but it does mean that the beam throws a long way up a tall building or to light from a tricky rig position. Again, being LED the whole device is pulling about 240w with everything on and it can rigged using cunningly designed fittings to form a pixel wall or a straight line - individual cells are addressable so you can pixel map video on to it as well. Having seen a demo unit in our shop, it looks really bright and the dimming curve has been designed with 16bit resolution in mind so that the last 10% dims smoothly too. It's often a niggle with LED's that they look good on stage but when dimmed, they chop out around 5% intensity because of power supply constraints. 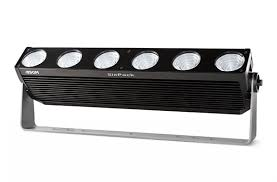 The SixPack also has a Halogen Emulation Mode where the unit will mimic the rise/decay curves of a conventional halogen fixture for when you're using a mixed rig. Like it's brother unit, the SixPack also has an RFID module so you can configure the units DMX address and so on by remote. The backpanel also has display invert and pixel invert functions from easy to access key presses so that no matter how you end up rigging it, you can set it up easily. We don't have them in hire as yet but there are some companies that do have them, so we can get them for you if they're that special something you need. If you'd like to see a demo of the unit, then we can arrange that too - SGM are very enthusiastic about this unit and think it's going to change the way folk look at LED. Of course you could buy them - list price is £2600 (plus VAT) but I'm sure if you were looking to buy a few then we could look at the price for you as well.